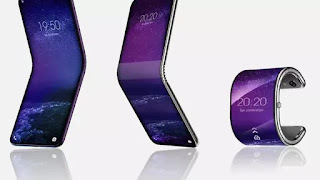 In a research note penned to investors early last year, the well-connected analyst Ming-Chi Kuo was first to hint that Apple’s in the process of developing its own, proprietary model of over-ear headphones boasting premium Apple features and technologies. Expected to look similar to current over-ear headphones, like Beats Studio and Beats Solo3, Kuo noted that Apple’s offering would be “as convenient as AirPods with better sound quality” than much (if not all) of its closest competition. Rumors about the headphones have only gained steam ever since, with Bloomberg’s Mark Gurman issuing not only a corroboration of their imminence as a higher-end alternative to Apple’s Beats offerings, but even further projecting a launch window of by December 2018, at the latest. 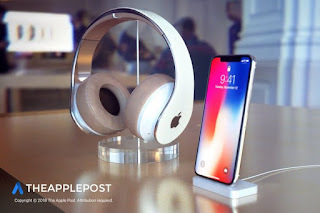 Sadly, as we’ve seen with several of Apple’s most promising products before, subsequent reports confirmed the company’s “ongoing struggle” developing the headphones, which was so significant (at one point), that Gurman said “It’s possible Apple will redesign the headphones again before launch, or scrap the project altogether” in his last update. While the fate of Cupertino’s over-ear headphones, which could retail for in the ballpark of ~$349, is still uncertain, Gurman is now saying Apple will release them as early as the “second half” of 2019, according to sources familiar with their development. Without delving into specifics, Gurman briefly mentions the 2H 2019 launch amid Bloomberg’s broader reporting on Sonos — the high-end audio components company which is reportedly also working on a pair of “high-end wireless, over-the-ear headphones” that could launch by next year. While this is certainly good news for those who’ve been tracking the development of Apple’s premium headphones, ultimately, it’s worth noting that their actual launch is [even still] subject to change..
Apple is also rumored to be working on a pair of next-generation ‘AirPods 2’, boasting upgraded technologies like a W2 chip, faster pairing, a wireless charging case and more by the end of 2019.